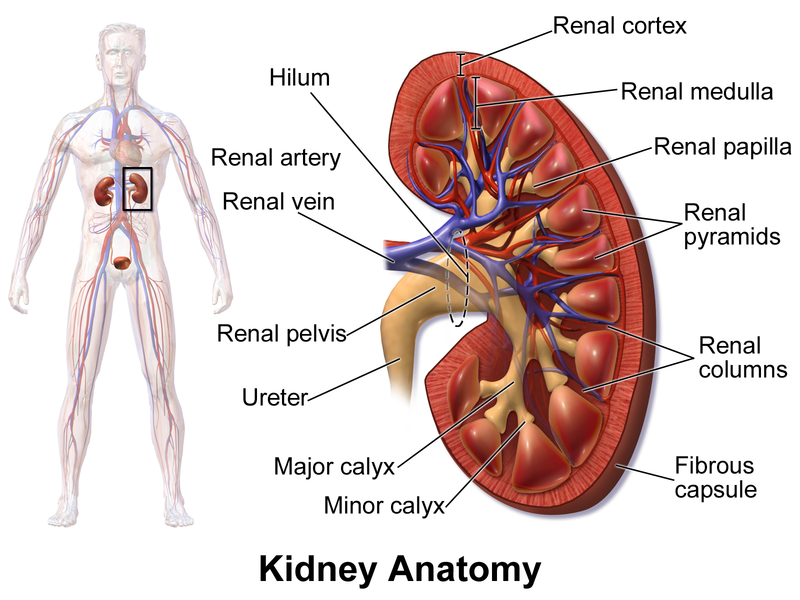 Kidneys are a pair of organs in your abdomen. Each kidney is about the size of a fist. 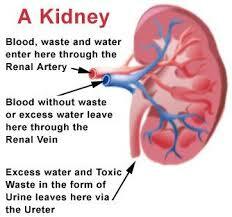 Kidneys are part of the urinary tract. They make urine by removing wastes and extra water from your blood. 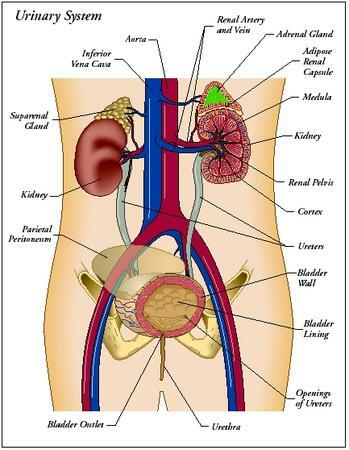 Urine collects in a hollow space (renal pelvis) in the middle of each kidney. Urine passes from your renal pelvis into your bladder through a long tube called a ureter. Urine leaves your bladder through a shorter tube (the urethra). This cancer forms in tissues of the kidneys. Kidney cancer includes renal cell carcinoma (cancer that forms in the lining of very small tubes in the kidney that filter the blood and remove waste products) and renal pelvis carcinoma (cancer that forms in the center of the kidney where urine collects). It also includes Wilms tumor, which is a type of kidney cancer that usually develops in children under the age of 5. Kidney cancer cells can spread by breaking away from the kidney tumor. They can travel through lymph vessels to nearby lymph nodes. They can also spread through blood vessels to the lungs, bones, or liver. After spreading, kidney cancer cells may attach to other tissues and grow to form new tumors that may damage those tissues. For ureteroscopy, a flexible or rigid telescope is inserted into urethra and the tip of the scope is extended into the bladder and the ureter. This means they can see the inside of the ureter and take biopsies if they need to. This test is carried out under a general anesthesia.